There is another celebration taking place today, my sister Cheryl’s birthday! So as they say in China “Happy Birthday, Cheryl!” (Still translating.) I wanted to figure out a way to tie these events together and I could only think of one thing, pot stickers. 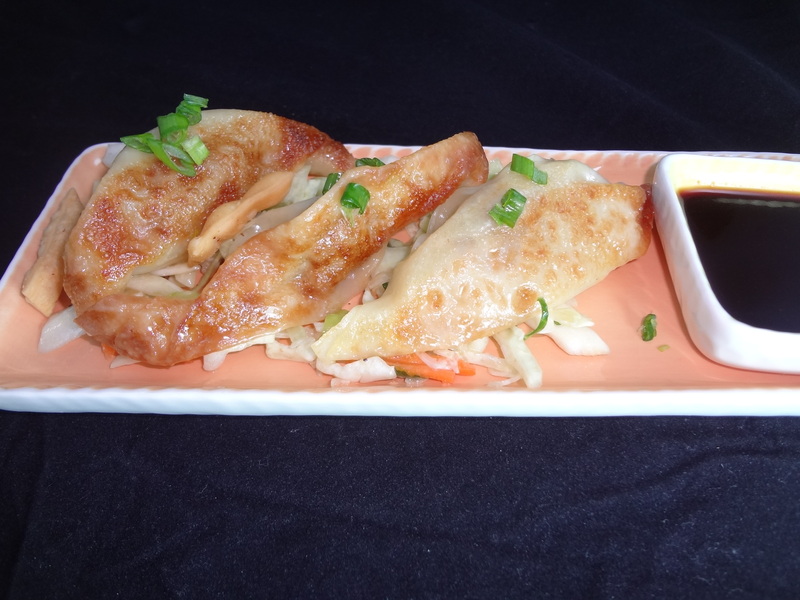 Pot stickers are one of those fun foods to make because you can fill them with anything from vegetables (cabbage, carrots, mushrooms) to meat (pork or chicken). 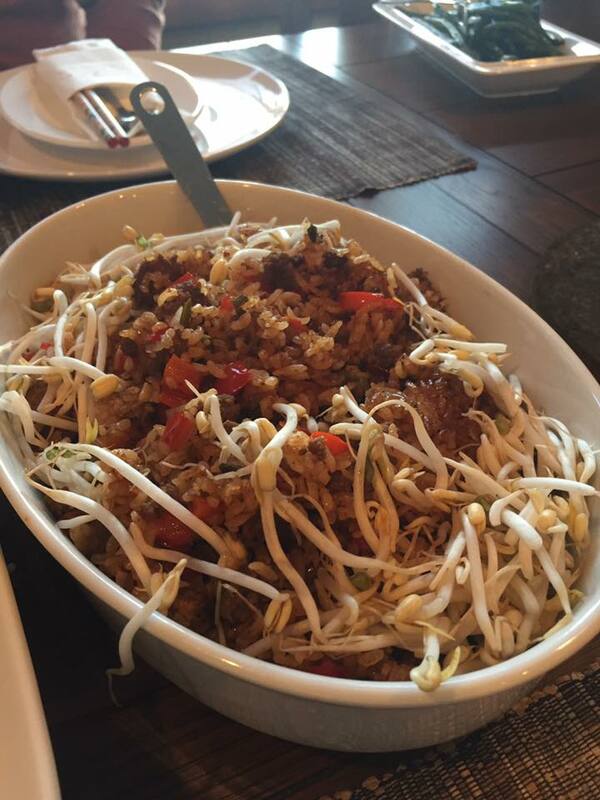 It is considered unlucky to add dragon to your filling so please avoid that ingredient. 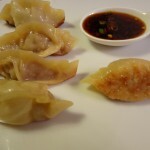 For my version today, I’m going to stick to the basic pork pot sticker with a semi-spicy dipping sauce. (I’ll post my pictures tonight.) They are easy to make, delicious and hopefully will bring you luck in the following year. 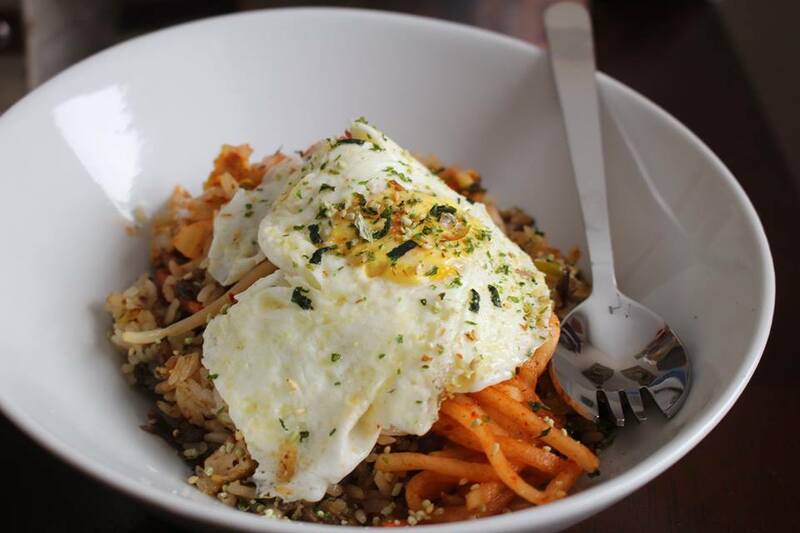 In a separate small bowl, mix egg with 2 Tbsp of water. 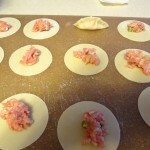 Deal out the dumpling wrappers on your counter and place about half a tablespoon in the center. Paint the edges of the wrapper with the egg mixture with a pastry brush. Fold each wrapper in half so it resembles a half moon. Make one pleat in the center and three on each side. Make sure you squish out the air pockets. 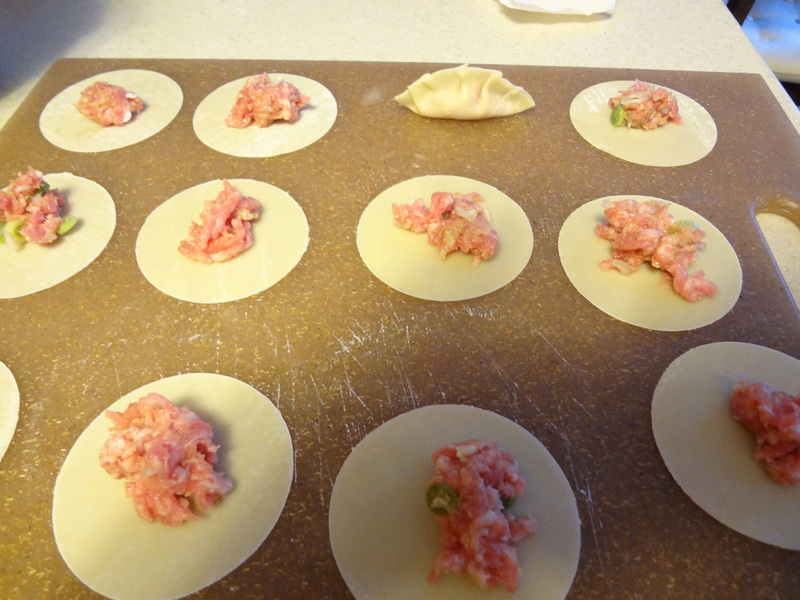 Press gently on the counter to flatten the bottom and set aside until all 24 pot stickers are sealed. Over high heat to a medium high heat, heat a NON STICK sauté pan. Add the grapeseed oil and coat the pan. Watch your heat so that you don’t burn the pot sticker. 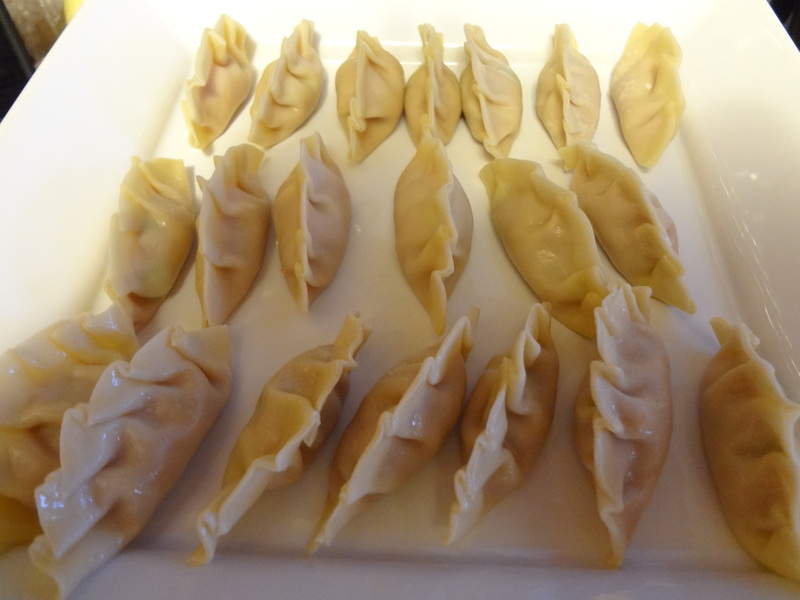 In batches (don’t overcrowd your pan), add pot stickers and brown them for about 3-4 minutes. Don’t poke at them, let them brown. Add about half a cup of water, cover the pan and steam until the water is almost evaporated. It usually takes about 8-10 minutes; they will be a bit puffy. If the water evaporates before they are done, add more in small increments. 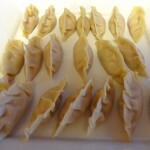 I flipped one of them over to show you could see the lighter brown pot stickers. Mix together and taste. You can adjust the flavor by adding sugar to cut the tartness, more sambal to make it spicier or garlic and ginger to add some different flavors. There are many reasons that I wish my sister and I lived closer together. We are both food lovers and I know she would get great joy out of eating these little bundles of luck. Happy Birthday, Sister, may the year of the dragon bring you the luck, strength and wealth that you desire. Love you! I LOVE pot stickers! Good thing I know a great gal that makes them. 😉 How are you with gyoza? It may have to be a superbowl treat if the hosts allow me to take over the kitchen. 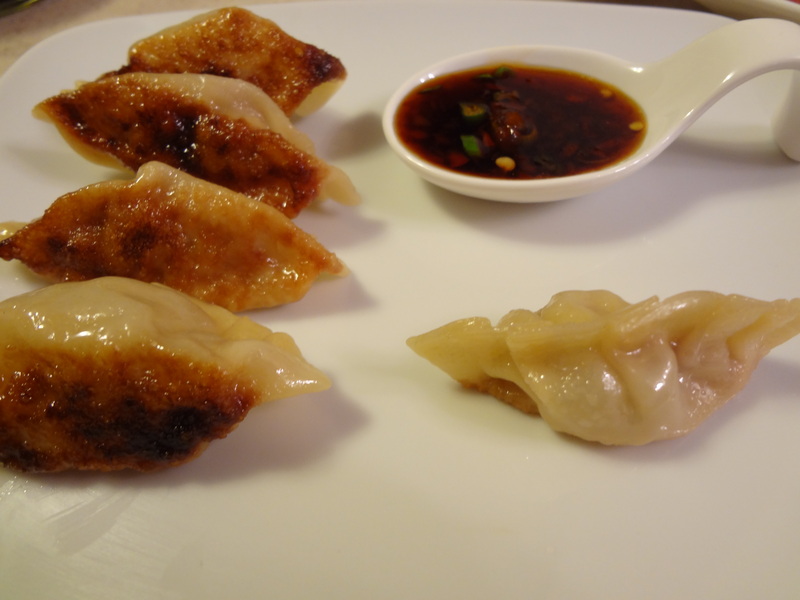 I am wicked at gyoza because they are so similar! Thank you Barb!! I can’t wait for our appetizer meal!! Love you!!! I LOVE pot stickers, too. Can I get Sambal locally? I hope you had a great birthday and thank you for the inspiration for today’s post! Yep, sambal can be found in most of our local stores in the Asian section. These turned out the best I’ve ever made them so I was happy. 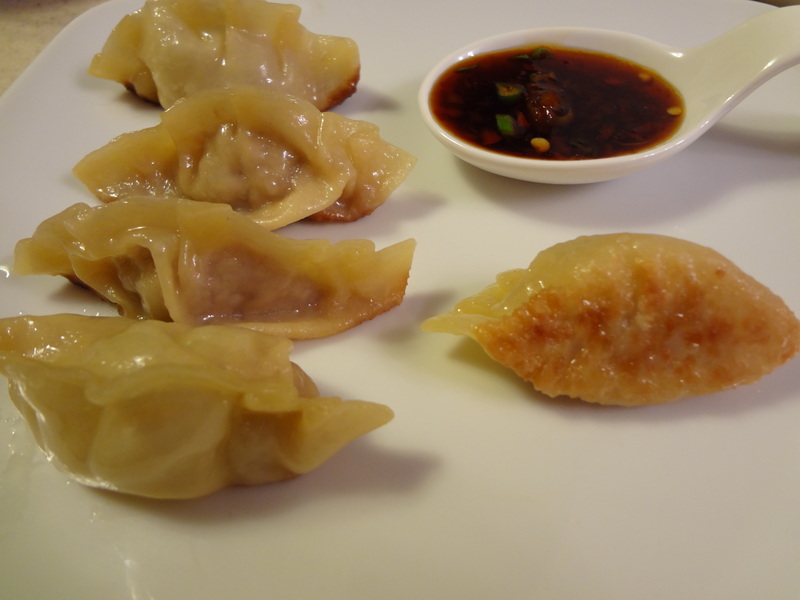 dumpling wrappers – can’t find them … how about won ton wrappers? Maybe I am not looking in the right section of the grocery store! You can normally find them in the produce area near the tofu. I have used wonton wrappers before. Your texture will not be as “doughy” but they are still quite good! Good luck.